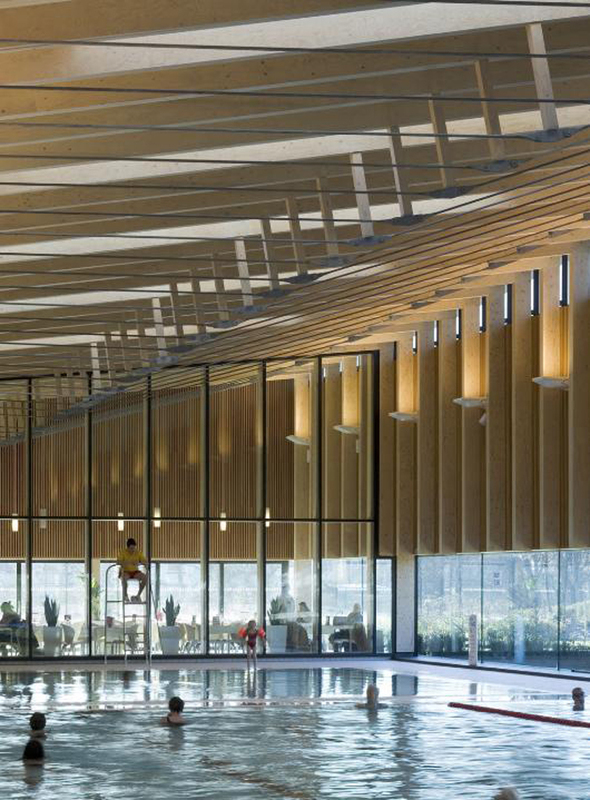 Laminated veneer lumber is a shop fabricated structural wood, composed of wood veneers which are adhered together. Laminated veneers were first developed in the 1940s for aircraft parts. 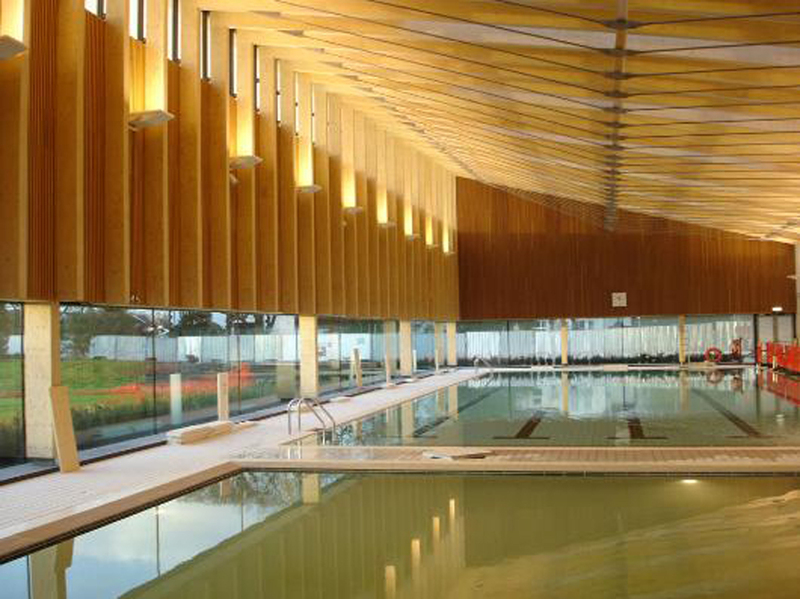 Laminated veneer lumber (LVL), which is a structural composite lumber (SCL), was first produced in the 1970s in response to growing environmental pressures and government regulations. It is an environmentally friendly product that efficiently utilizes wood fibers from smaller trees. LVLs are used for beams, girders, headers, rimboards, flanges for I-joists, and other members in both residential and commercial construction. The species of wood used in LVL are typically Douglas Fir Larch, Southern Yellow Pine, Spruce and Poplar. The process of fabricating an LVL begins with wood veneer being rotary peeled, dried and graded. Waterproof adhesive is then spread on the individual veneers, and they are layered on top of one another. The grain of each veneer is oriented in the same direction, or parallel to one another. The material forms a large block, called a billet, which is cured and pressed with heat and pressure to bond the veneers. The billet is then precisely ripped to desired stock widths. Stock sizes range from 3/4 inch to 3 1/2 inches thick and 9 1/4 inches to 24 inches in depth. They are available in lengths up to 80 feet. 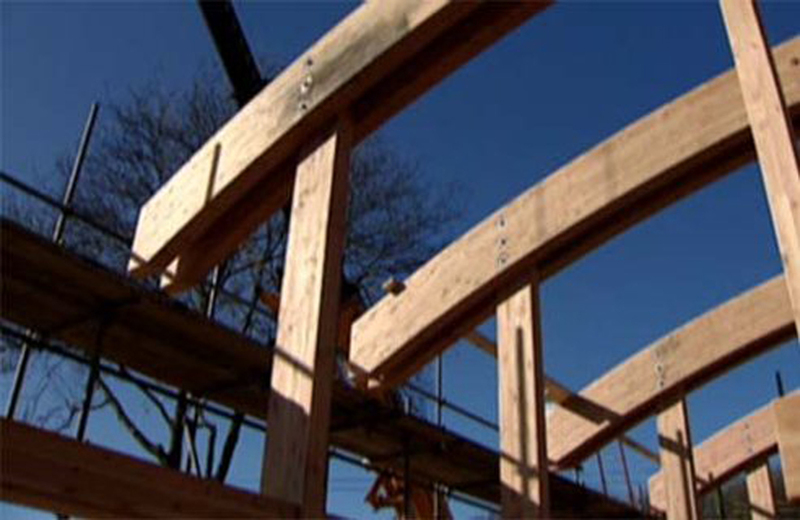 This process of fabrication produces material that is superior to dimensional lumber. LVLs are free from defects, are uniform, and have structural properties that are stronger and more predictable. The actual composition of the various LVL brands are proprietary, each containing various types of species, which will vary in strength and allowable spans. Prior to specifying LVL for a particular application, the manufacturer's design values should be reviewed. 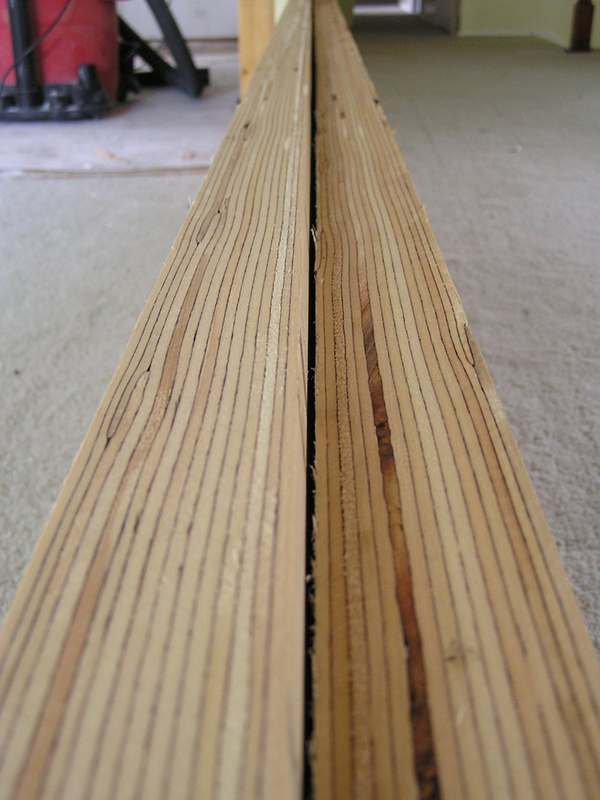 LVL can be cut to length and fastened similar to dimensional wood on the job-site. Notching and drilling LVL for plumbing, electrical, or HVAC should be done in accordance with manufacturer recommendations. While most products are used in rough framing applications, LVL that is properly veneered to accept an architectural finish can be left exposed. The cost of LVL products are typically 3 to 4 times that of dimensional lumber.